Are you a Nintendo fan? Do you like getting games for free? 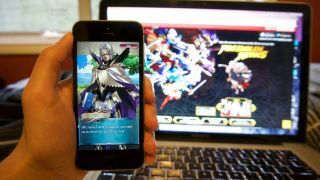 If you’ve answered yes to one or both of those questions you should probably stop whatever you’re doing and download Fire Emblem Heroes, available now on iOS and Android. Fire Emblem Heroes, an offshoot of the main franchise that pits characters from different entries in the series against one another in grid-based combat, is the first of three mobile games Nintendo promised fans this year, and follows hot on the heels of Super Mario Run. The difference between the two, besides the obvious lack of a mustachioed plumber in the Fire Emblem series, is the price. Fire Emblem is the first game Nintendo is trying under a freemium model. Niantic, of course, took this route with Pokémon Go in 2016 with tremendous results, so there are high hopes here. While Nintendo’s turn-based strategy game may not have the same exact level of appeal as its monster-catching franchise, a free sticker price might be enough to drive droves of hungry Nintendo Switch fans to mobile platforms while they wait for the next console. Have you downloaded the game already? Let us know what you think of it in the comments below.